Rates quoted are based on mid-week stays, and twin occupancy in a standard room for residential stays at Champneys Springs, Leicestershire. For group bookings of 6 or more please call 01530 279605. FIRST TEAM UPDATE Good afternoon and welcome to this afternoon’s East Midlands Counties League match against Dunkirk. This is the second time this season that we have faced today’s opponents with the reverse fixture at the end of August ending in a 3-2 victory for Dunkirk and today’s match will be another tough encounter. There has only been one first team match played since the last home fixture against Anstey Nomads a fortnight ago. Following on from the 2-2 home draw against Anstey (the match report from this match is on page 12 of this programme) the team travelled to promoted Birstall United and a close fought match ended in a narrow 1-0 defeat with Ashby missing a penalty. There are a few midweek home fixtures coming up in the next couple of weeks. This coming Tuesday (15th November) Gedling Miners Welfare are the visitors to the NFU Sports Ground and then following an away trip to Belper United attention turns to the 2nd round of the League Cup with Holwell Sports the visitors on Tuesday 22nd November. Both fixtures kick off at 7:45pm and it would be great to see your support for the team despite the winter weather setting in. Talking of winter weather if you want to keep warm at all Ivanhoe matches during the colder months then why not purchase an Ashby Ivanhoe FC scarf. Available from the clubhouse for a very reasonable £5 and also a perfect stocking filler ready for Christmas. Re-arranged Fixtures A couple of fixtures that were postponed earlier in the season have now been re-arranged. The away trip to Greenwood Meadows has been arranged for Wednesday 14th December and last week’s scheduled match with Radford will now be played on Tuesday 20th December. Again both matches will kick off at 7:45pm. Good luck to the team today and hopefully come 4:50pm we will have achieved a positive result. IN OPPOSITION TODAY league cup final at Alfreton Town’s ground where they defeated Blidworth Welfare 1-0 after extra-time. The 2008/09 season held fresh optimism for Dunkirk as they were accepted to become founder members of the East Midlands Counties Football League which is a step up in league terms for the club. This step up also has given Dunkirk the opportunity to enter the FA Cup for the first time in their history. Our 1st game in the 2008/09 season started with the FA Cup as we faced Alvechurch from the Midland Football Alliance (step 5). Alvechurch though proved to be a little too strong for us as they raced into a 4 goal half-time lead. Although we did put in a spirited 2nd half performance the game ended 4-1. In our 1st ever step 6 league campaign we started extremely well and remained unbeaten until the end of October when we crashed to a 3-0 defeat against eventual league winners Kirby Muxloe. For most of the season though we found ourselves just behind the front two but with only 12 games remaining we did top the table. This though was to be the highlight of the season and after this spell at the top we did dwindle away and had to settle for a 5th place finish. This was to be the clubs last game in the Central Midlands League and after a 13 year successful time in which they claimed 1 League Title, 2 League Cups as well as 2 Floodlit Cup trophies also claiming 3 League runners up positions and losing in 2 league cup finals they leave the Central Midlands League with many happy memories. The 2008/09 season gave Dunkirk a taste of what life was like in step 6 football and they went into the 2009/10 campaign with huge expectations that silverware would again be returning to Lenton Lane. The campaign though started with 3 defeats in their opening 6 matches but they then went on a 30 game unbeaten record which pushed them into second place in the table but with leaders Bardon Hill Sports playing 8 games more than “the Boatmen” and with an 18 point lead with 16 games remaining a huge effort from Dunkirk was needed. The expectations that the club set themselves though was met when they saw the season out with 9 straight league wins to take the East Midland Counties title by 6 points over nearest contenders and runners up Gresley FC. This gave the club the opportunity to gain promotion and they were accepted into the Midland Alliance Football League which is a step 5 league in the football pyramid which will be the clubs first time in this level of football. As well as league success the club also had good cup runs when they reached the third round of the FA Vase when they narrowly lost out in a dramatic penalty shootout against Pickering Town after a replay. They also reached the semi-finals of the Nottinghamshire Senior Cup when the crashed out against Unibond League highflyers Retford United 4-0. In the East Midland Counties League Cup “the Boatmen” who are well known for League Cup success reached the final again when they faced Gedling Town but unfortunately they returned home with runners-up medals as Gedling snatched the tie with an extra-time 2-1 victory. The 2010/11 season saw Dunkirk ply their trade in step 5 football for the first time in their history and after a very enjoyable season they claimed a creditable 8th place finish although they were only 4 points behind third position in the table. The club also enjoyed cup success as they claimed their first ever win in the FA Cup with an exciting 4-3 Extra Preliminary Round win over NCEL side Dinnington Town. They also showed their pedigree as they saw off step 4 side Grantham Town 3-2 in extra-time after a replay, before they bowed out of the competition in the 1st Qualifying round against local rivals Carlton Town again after a replay as they went down to a 2-1 home defeat that again went to extra-time. This campaign also saw “the Boatmen” reach the third round proper of the FA Vase as Northern league side Ashington made the long trip to our ground but again we just fell short as Ashington came from behind to claim a 2-1 win and reached the fourth round of the competition. Again we reached the semifinal of the Nottinghamshire Senior Cup and the draw couldn’t have been any tougher as we were paired against Conference North highflyers Eastwood Town and although we again put in a tremendous performance a last minute Eastwood strike gave them a 1-0 win as they went onto again claim the trophy. During the 2010/11 season the club were left in total shock as they were left to deal with the sudden death of their long standing Chairman Jack Riley. Jack had been an instrumental part of the club for many years as everybody at the club had to pull together which they did as they again looked to push the club forward. They also appointed a new Chairman as former Nottingham Forest favourite David Johnson took on the role. After an excellent first season in step 5 football Dunkirk had fresh optimism that they could challenge at the top of the table. The 2011/12 season though saw them find themselves in an unfamiliar position as they struggled near the lower reaches of the division, only just avoiding relegation during the last few weeks of the season finally finishing in 18th position. The reserves claimed the Central Midlands League Reserve League Cup with a 2-1 win against Radford Reserves that was played at Long Eaton United’s ground. IN OPPOSITION TODAY The club rebuilt again during the 2012/13 season but inconsistency was their main problem throughout the season. They did however finish in a creditable 10th position winning 18 of their 42 matches losing 16 and drawing 8. The reserves side under the guidance of Mark Harbottle claimed silverware for the second season in concession as they won the Central Midlands League Reserve Supreme Division with a very young side. The 2013/14 Season was a struggle throughout and in January 2014 long term managers David Harbottle and Ian Upton decided to step away from their position and in came Leigh Grant and Kuki Morley as joint Managers. Although the club continued to struggle they did however manage avoid relegation on the final day of the season claiming a point at home against AFC Wulfrunians. After a tough start to the 2014-15 season mangers Leigh Grant and Kuki Morley resigned from their positions as joint managers. The club acted quickly and appointed former captain Nick Hawkins as manger. The clubs form continued to be poor as they languised in the bottom 3 at christmas only having 12 points on the table but a miraculous change in fortumes amd team morale occurred as for the second season running the club somehow escaped relagation on the final day of the season as they beat Shepshed Dynamo 1-0 to retain their step 5 status. The Reserve team disbanded at the end of the 2014-15 season but a new team named Dunkirk AFC was created in its place that will play in the Nottinghamshire Senior League Premier Division. The 2015/16 season was a disaster for the first team as throughout the season they had 4 managers in charge in a very miserable campaign. The fourth manger that arrived though was former player Paul Rawden who knew he had a big job on his hands to try and save the club from the drop but after a late flourish of wins it wasnâ&#x20AC;&#x2122;t enough and the club were ultimately relegated to the East Midland Counties League after finishing third from bottom. Although the first team struggled the newly formed AFC team had a splendid season as this side made up of mainly youngsters remained competitive throughout the campaign and managed to claim wins over some of the more established sides in the Nottinghamshire Senior League along the way. If we can keep hold of these players a bright future looks in store for the club. Club President Dave Morris recommends The Wilmot Arms pub located on Derby Road, Borrowash and is just a 10-minute walk from the ground. 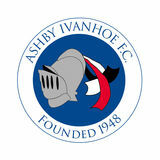 ASHBY IVANHOE FC CLUB HISTORY Ashby Ivanhoe Football Club was founded in 1948 and play their home matches at the NFU Sports Ground, Lower Packington Road, Ashby de la Zouch in Leicestershire. This is the clubs new home from the beginning of the 2012/2013 season. Since being founded in 1948 up until the end of the 2011/2012 season the clubs previous home was at Hood Park also in Ashby de la Zouch. The club currently consists of four adult teams and a youth team. The first team play in the East Midlands Counties League, with the Reserves in the Leicestershire Senior League Premier Division. In the 2008/2009 season the club formed a Youth Team (Under 18’s) side who play in the Leicestershire Midweek Floodlit Youth League on Wednesday nights. A Sunday team was re-introduced for the 2012/2013 season and they play in the Burton Sunday League Division Three. For 2015/2016 a third Saturday side has been formed who will play in the North Leicestershire Football League Division One. The club also has 11 junior sides ranging from Under 9’s through to Under 17’s who play in the Burton Junior Football League, Tamworth Junior Football League and the Derby City League. The junior section came after the club merged with the David Hunt Soccer School at the beginning of the 2009-2010 season. In February 2004, Ashby Ivanhoe became an FA Charter Standard football club. The club is very ambitious and has plans to progress further up the league pyramid system. The club is run by an experienced management team and enjoys the support of some very prestigious commercial partners. Ashby Ivanhoe had one of their most successful seasons in 2010/11 as they completed a league and cup double by winning the Leicestershire Senior League by nine points and also lifted the Coalville Charity Cup for the very first time after producing a superb second half comeback to beat Bardon Hill 3-2 in the final. They have also reached successive Leicestershire Senior Cup finals in 2011/2012 and 2012/2013 but had to settle for runners-up on both occasions losing 3-1, firstly to Ibstock United and then Aylestone Park. The 2013/2014 season saw the first team achieve a long-term ambition as they won promotion into the Step 6 East Midlands Counties League for the 2014/2015 season after finishing third place in the Leicestershire Senior League. It was a close title race with the top three all finishing level on points with Ashby third on goal difference. The Reserves were also promoted to the Leicestershire Senior League Division One. 2014/2015 saw Ashby compete at Step 6 of the non-league pyramid for the first time and they had a very good season and secured a top six finish in the East Midlands Counties League which featured victories against all of the sides above them. The Reserve side were involved in a tight title race and it went down to a last day decider against Lutterworth Athletic Reserves but despite the result going against them on the day they were still promoted for the second season in succession and will play at Step 7 in the Leicestershire Senior League Premier Division for 2015/2016.